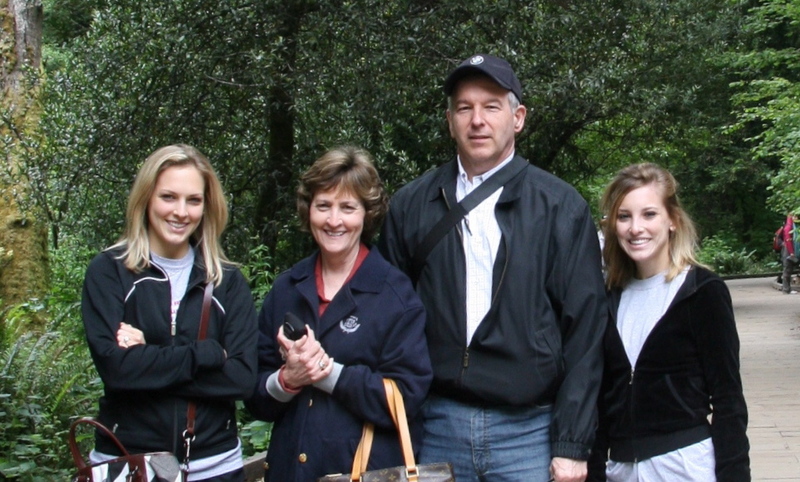 Happy Father’s Day to all who are Dads! For those of you who know my Dad, you know that he LOVES chocolate. Fortunately for him, he had a DOUBLE-DOSE of brownies this weekend!! 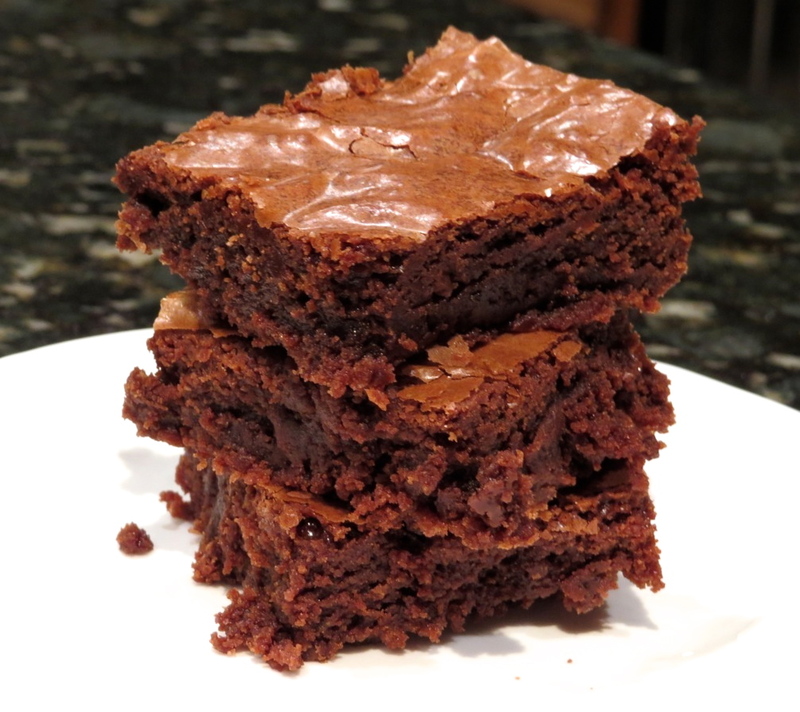 My sister Brittany came in from Michigan this weekend and while she and my mom were perusing the Internet, they came across a recipe for brownies from Saveur called Nick’s Supernatural Brownies. Mom and Brittany made the brownies on Friday, and called me up that night to tell me how good they were! On Sunday when my parent’s came over to my house for Father’s Day, they brought over 4 of their brownies. We did a little comparing, and noticed that our brownies looked a little different. 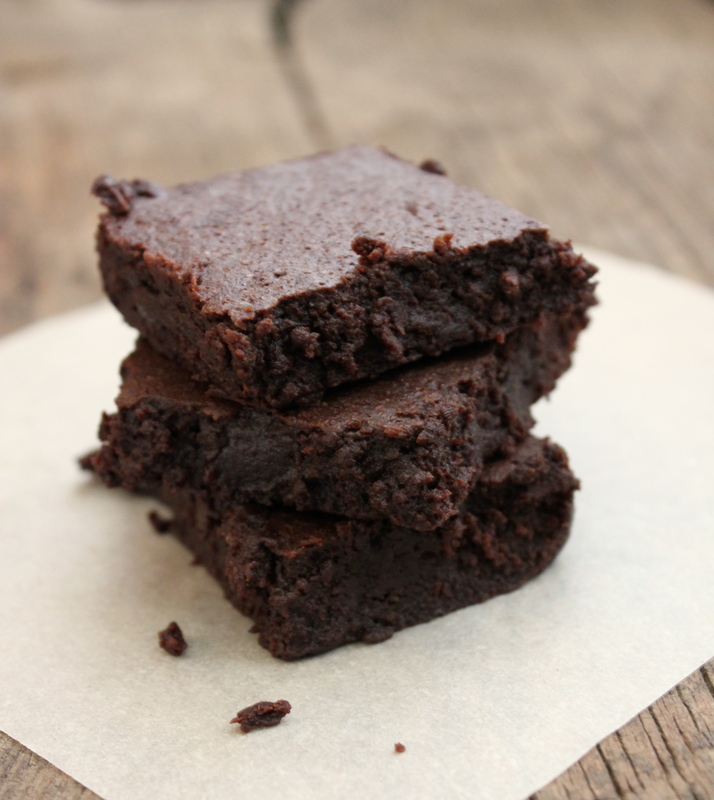 Mom’s brownies: thicker, lighter in color and slightly sweeter. Close-up of my mom’s version. I baked mine in an 8″ square pan since I halved the recipe. 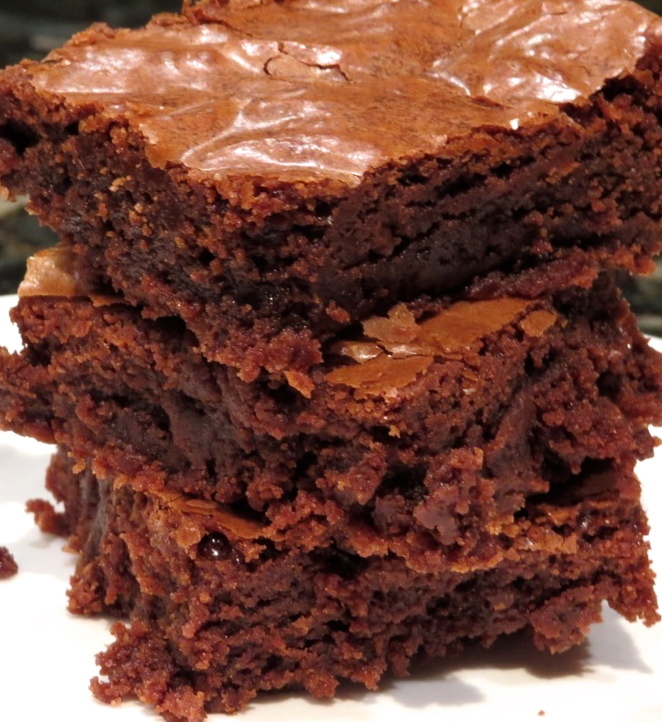 My brownies: slightly thinner, darker, and more fudgy. 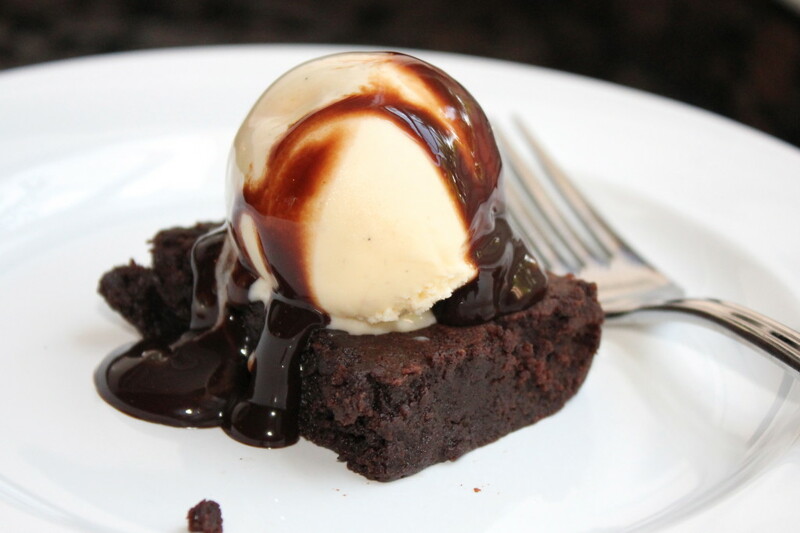 These brownies are great with a scoop of vanilla bean ice cream and chocolate fudge sauce! So, which brownies are better, my mom’s version or mine? It’s hard to tell. Matt likes mine better, I like Mom’s because they were slightly sweeter, and Dad was indifferent… chocolate is chocolate in his opinion!